WORK is to start before the end of March on a major safety upgrade at one of the district’s most busiest roundabouts in Newcastle. Roads officials have confirmed that existing zebra crossings at the roundabout where the Shimna, Castlewellan and Dundrum roads meet, will be replaced with new puffin crossings. The new crossings will result in the provision of traffic lights to ensure drivers stop when people are crossing roads on either side of the roundabout. Mournes councillor Willie Clarke has welcomed news of the safety upgrade, which was confirmed during a site meeting with roads officials last week. Local people have consistently taken to social media to report “near misses” involving pedestrians using existing zebra crossings, with Cllr Clarke explaining residents have waited a long time for the much-needed upgrade in pedestrian at this location. He has no doubt that they will be relieved to hear that the scheme is definitely going ahead. He continued: “I had wanted an extra filter lane to be provided, but due to the extensive underground utilities, the cost to relocate them would have delayed the installation of the puffin crossings. “In the interests of public safety, it is essential to push on with the committed works to provide the new puffin crossings before the end of March. Last year, a new plan to address road safety and congestion issues at the roundabout in response to mounting local concern was outlined. Roads officials plan to create a new dedicated filter lane, enabling drivers entering the resort from the Dundrum direction and wishing to access the Castlewellan Road to do so without causing major tailbacks, leaving two existing lanes for the exclusive use of traffic heading into the town centre. 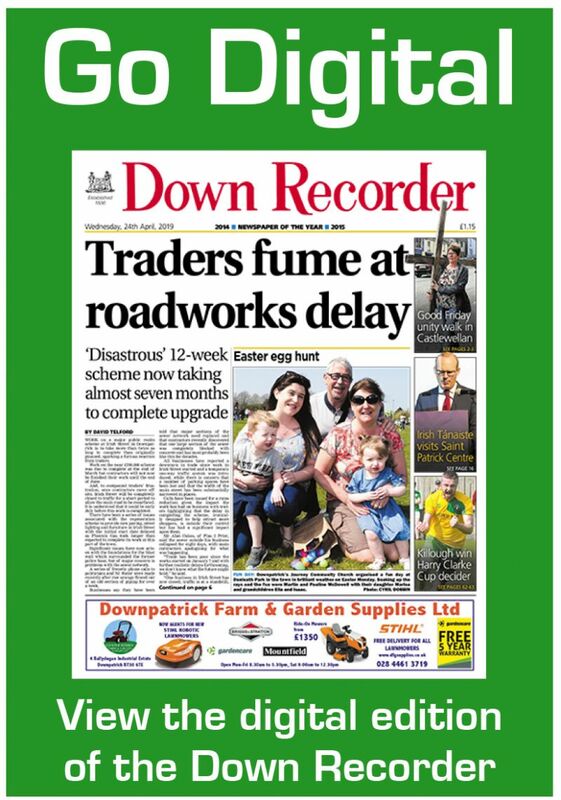 It is understood officials have not yet fully costed the scheme, but they have confirmed they will require to shave off a section of land at the side of the roundabout to provide the new link road which they are confident can significantly reduce congestion.